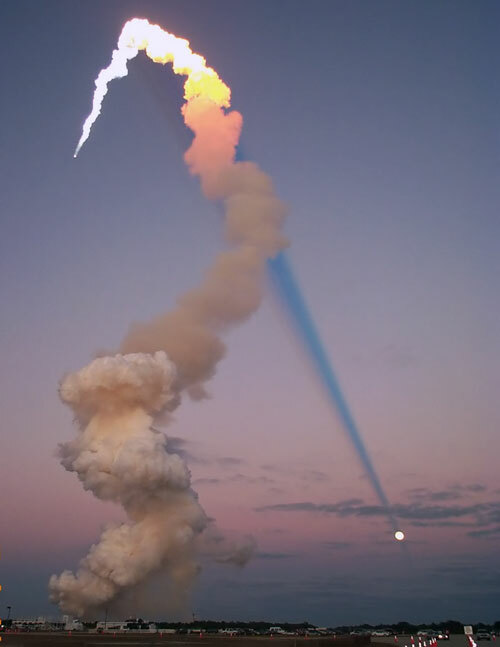 Explanation: Why would the shadow of a space shuttle launch plume point toward the Moon? In early 2001 during a launch of Atlantis, the Sun, Earth, Moon, and rocket were all properly aligned for this photogenic coincidence. 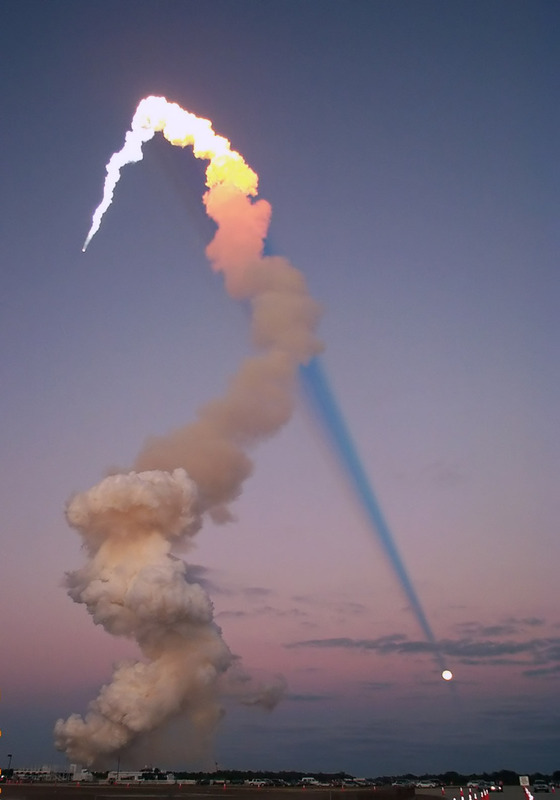 First, for the space shuttle's plume to cast a long shadow, the time of day must be either near sunrise or sunset. Next, just at sunset, the shadow is the longest and extends all the way to the horizon. Finally, during a Full Moon, the Sun and Moon are on opposite sides of the sky. 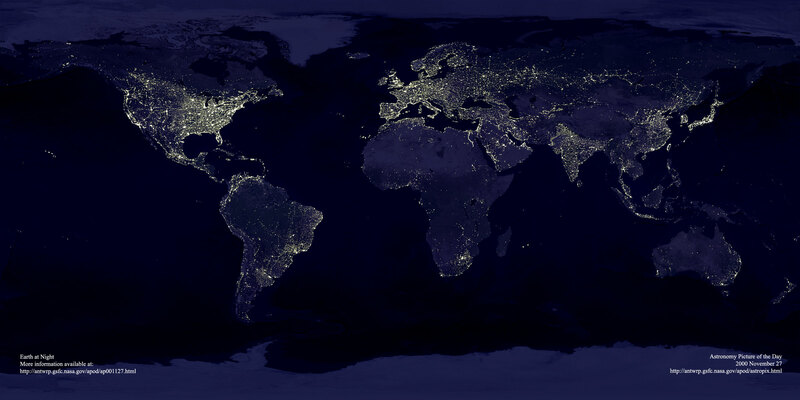 Just after sunset, for example, the Sun is slightly below the horizon, and, in the other direction, the Moon is slightly above the horizon. Therefore, as Atlantis blasted off, just after sunset, its shadow projected away from the Sun toward the opposite horizon, where the Full Moon just happened to be.